Marin Transit (MT) recently began to study how to improve service on the Tiburon Peninsula. I addressed the current situation and the various options in a previous post I wrote a few weeks ago, so I won’t go into them here. Now, though, MT staff have released their draft recommendations for comment, and I’m extremely impressed. Nearly all of my recommendations were taken, or were arrived upon separately. There were some changes, however, so let’s look over the highlights. Item 1: Implement a Tiburon Community Shuttle program. The route will run between downtown Tiburon and Strawberry every 20-30 minutes, timed with the ferry, and run between 6:00am to 10:30pm. 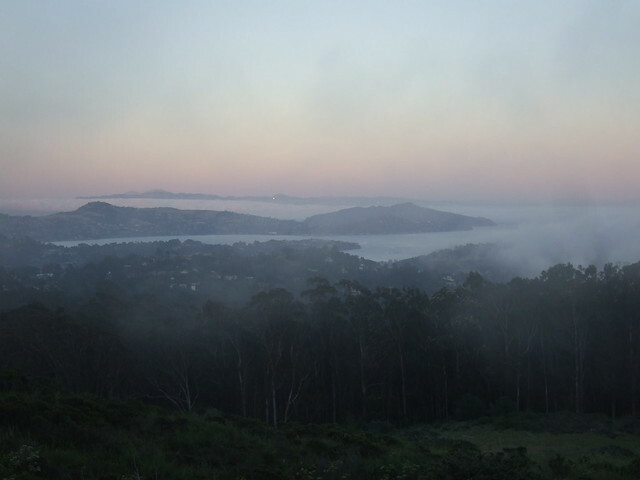 The last run of the day would run through Mill Valley to Marin City. Though I like the service span and frequency, MT proposes deviating the route eastbound from Strawberry. Going east, the bus would serve Belvedere Drive through Strawberry, hitting a currently unused bus stop at Belvedere & Ricardo while bypassing the eastbound stop at Tiburon & N Knoll. Splitting service like this is strange and makes for a worse transit system in general. Bus stops should be paired with each other wherever possible, even when the geometry of turning around makes that difficult. Residents living on Knoll probably won’t need to go to Strawberry; they’ll probably need to head to Tiburon, and need to take the bus in that direction. Diverting the bus would mean an extra half-mile walk for them to the nearest eastbound bus stop. Strawberry residents face the same problem, but only one new bus stop would be served, and it wouldn’t be far from another, at Tiburon & Belvedere. The only way this would be of use would be if there is a minimal pause at Strawberry, allowing N Knoll travelers to ride west to Strawberry before continuing their eastbound journey to Tiburon. The projected cost for the new route would be around $473,000, down from $629,000 for the current routing. The ferry route in Tiburon is vital to the health of the transit system and, though it should be better integrated into the transit system, it is largely working well. Blue & Gold is a privately run company with higher-than-average fares and a parking fee. Despite that, the ferry runs a profit and sees 625 passengers per day ply the route between Tiburon and The City. MT staff recommend turning the route over to a public agency, either the Water Emergency Transportation Authority (WETA) or GGT. I dislike the idea. Though it would improve the amount of service on the route, what is currently offered is well-used and well-liked. I fear that GGT or WETA would make the parking free and lower fares while increasing service, ensuring an ongoing operating deficit. Though it may attract more riders, free parking would also attract more traffic onto Tiburon Boulevard and put pressure on the town to build more parking in its already parking-saturated core. Better would be to work with the system in place. Blue & Gold should arrange with WETA and MTC to be part of the 511.org system, take Clipper, and still operate as a for-profit company. Any additional service should be operated by Blue & Gold and paid for with an operating subsidy from the interested agency. Items 5 & 7: Improve Connections to Regional Services & Implement Passenger Access and Transfer Improvements. A very strong recommendation is to improve access to Highway 101 (p 14, PDF). As I wrote, Tiburon’s transit needs to be integrated into the greater transit system of the county, especially to the 101 trunk. The Tiburon Wye, sadly, is extremely unfriendly for transfers to and from Strawberry or Tiburon. Though I proposed something of a patch over the issue, to extend the new shuttle route out to a turnaround at Tower Drive, it turns out that Caltrans already has an answer. For $3 million, Caltrans has some preliminary plans to reposition the bus stops at the Wye so they’re closer to the overpass and won’t require pedestrians to cross the on or off ramps. At the west side of the freeway, a turnaround would actually allow both surface street and freeway buses to share a single stop, knitting the two services together in a way I hadn’t even thought would be worth proposing. This is a superb design, and may even allow GGT to cut commuter Route 8. Rush service at the Wye is good enough that any wait would likely be only a few minutes. It will be absolutely necessary to market these new services to the people of Tiburon. Transit usage is very low on the peninsula, and I suspect people won’t flock to the new service because it just won’t be a viable option for most. The recommendation is to develop a flyer and to distribute it around the peninsula. If it’s like any other pamphlet I’ve seen, it will be placed in little displays but rarely taken. More expensive, but more effective, would be a mass mailing to every household in Strawberry, Tiburon, and Belvedere, but go beyond simply the pamphlet. Enclosed in each or in a random selection would be a $10 Clipper card and a note encouraging people to try transit. Only 6.3% of Route 19 riders use Clipper at the moment, so there is a lot of room to grow. If Blue & Gold is interested, it could also include a free round-trip ticket aboard the ferry for a commute. Many of the tickets and Clipper cards wouldn’t be used, but some of those that do use them would find transit so much easier than they imagined and would become frequent or semi-frequent users. Boulder, CO, found that giving away transit passes helped build strong transit usage in their bus-only system. Given the poor connections to 101, MT may want to wait until the system is fully built and the Wye reconstructed before asking people to come on board. Something particularly exciting, which I’ve pushed for in the past, is the use of a real-time arrival system and signs. MT wants to place the signs at high ridership stops at Strawberry and Tiburon & Main downtown, as well as in shops near particular stops. The shops would be especially handy, as it would give riders the ability to get morning coffee while waiting for the bus so they would know exactly when to leave. The real-time system is online, so people could take to their computers and smart phones to find out when the next bus is arriving and when to leave the house. Ideally, this system would also include Blue & Gold Ferry departures and arrivals. MT should ensure the system is included in its marketing materials, as GGT-operated routes don’t have real-time arrival systems yet and so would likely be unfamiliar to casual users. MT has some solid recommendations. Though some need improvement, such as those for Blue & Gold, but most are good or better than I even though were under consideration, as with the Tiburon Wye. After reading the draft, I’m highly optimistic about the chances of transit on the Tiburon Peninsula.